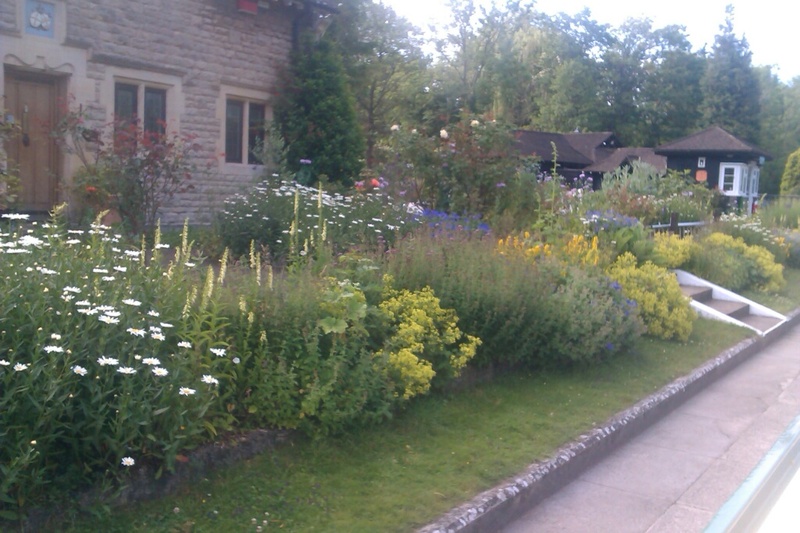 We left Oxford at around 7:00 am, the weather all day has been lovely and warm. We worked the first two Thames locks on our own as the lock keepers don’t come on duty until 9:00. A stop at Abingdon for breakfast and some shopping for tomorrow when we are to be joined by Nikki, Paul, Izzie & Roxie. Abingdon council provide lots of free moorings for visitors to the town. Their near neighbours Wallingford should take note! On arrival at Wallingford it was obvious that were weren’t going to find a mooring easily. There was a very inviting space above the bridge, but it was marked for “trip boat only”. We went under the bridge to a spot we have used before. It’s not ideal as the banks are very high, but beggars can’t be chosers. Unfortunately the river levels must be lower as we couldn’t get near without running aground. In desperation we tried another place above the the bridge outside the pub, but it wasnt long enough for our 55ft. So we carried on out of the town for about a mile, then Heddi spotted a bit of bank that looked promising. 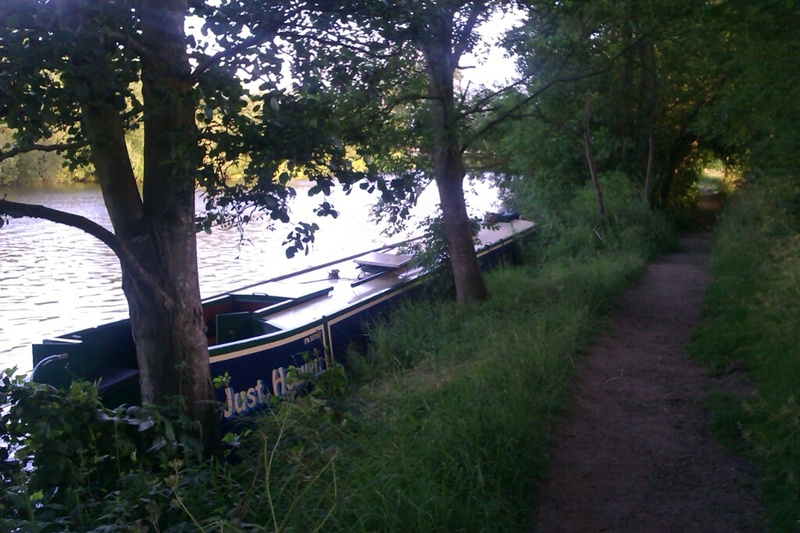 We squeezed it between some trees for a quiet, but unusual mooring. We have seen lots od Red Kites around, some swooping low over the river right in front and over us. It’s such a success story for the re-introduction of these beautiful birds.